As I was waking up this morning to two throbbing fingers (I had a cooking accident last night - my fingers had a run-in with my knife...fingers lost that battle) I felt compelled to continue writing on thanksgiving and gratitude. That might seem odd to a person - a painful injury causing me to reflect on being thankful. Ok, I'm not some kind of sadistic weirdo or anything. But I surprised myself last night when, after I did the ouch-y dance, I found my mind being grateful for an array of things - gladness at not slicing clear through 2 of my fingers, gratitude for it being my left hand (not my dominant right), still having the use of my thumb and forefinger (it was the two middle digits). And not only that, but today my gratitude extended to my husband and sister. My sister volunteered to wash and style my hair for me (very hard to do with one hand) and my husband willingly picks up for wherever I'm lacking - doing dishes, laundry or anything else that requires use of two hands or 10 fingers. This led me to ponder the idea of a 'gift list', or 'blessings journal'. 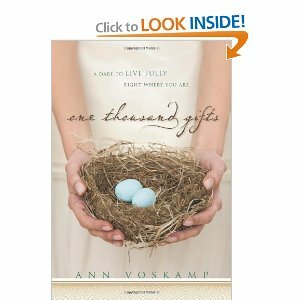 I have often seen bloggers start blessings journals online - and I'm fairly certain many of them were inspired by this book (which I've quoted previously) - Ann Voskamp's "One Thousand Gifts". Mrs. Voskamp chronicles her way from anger to joy through "intentionally embracing a lifestyle of radical gratitude". 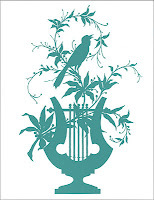 Her life "turns pain into poetry" in a way only God can orchestrate, and it is life-altering. I think they're on to something...Ann Voskamp and my friends and blogging acquaintances who have begun en masse to chronicle their own blessings. They're recording grace in their own lives, with the goal of reaching 1000 gifts. One of my friends even does this daily on her popular social networking account. And you might be very surprised, at first, how challenging this can be. You can, of course, be grateful for anything and everything, but to write it down, to make it real - well, you are training your eyes and heart to see something different, something they might not be used to seeing. My friend started her blessings journal on January 1st, and she's only up to 38 or so. If you think about it, it's only been about a month...but that leaves a long way to go before reaching 1000. But it is so worth it. 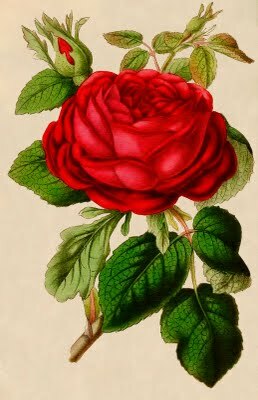 This exercise awakens us to the world of grace that is in full bloom all around us. Our lives become technicolour - after being black and white for ages. It causes us to fight to detect and contemplate the good, when the evil swirls all around waiting to devour. "I may have always known that change takes real intentionality, like a woman bent over her garden beds every day with a spade and the determined will to grow up something good to strengthen the heart. ...How in the world, for the sake of my joy, do I learn to use eucharisteo to overcome my one ugly and self-destructive habit of ingratitude (that habit that causes both my cosmic and daily fall) with the saving habit of gratitude - that would lead me back to deep God-communion. ...Could I write a list of a thousand things I love? ...Across the backside [of a paper], on a whim, a dare, I scratch down: Gift List. I begin the list. Not of gifts I want but of gifts I already have. I haven't read this book, but it has been mentioned to me so often of late, that I'm starting to finally get the hint that maybe I should - and soon. I truly do believe that it is the simple things that bring the most joy, but I have also found that remembering to be grateful for them is one of the hardest first steps to take. Thanks for the inspiration Miss Sarah.